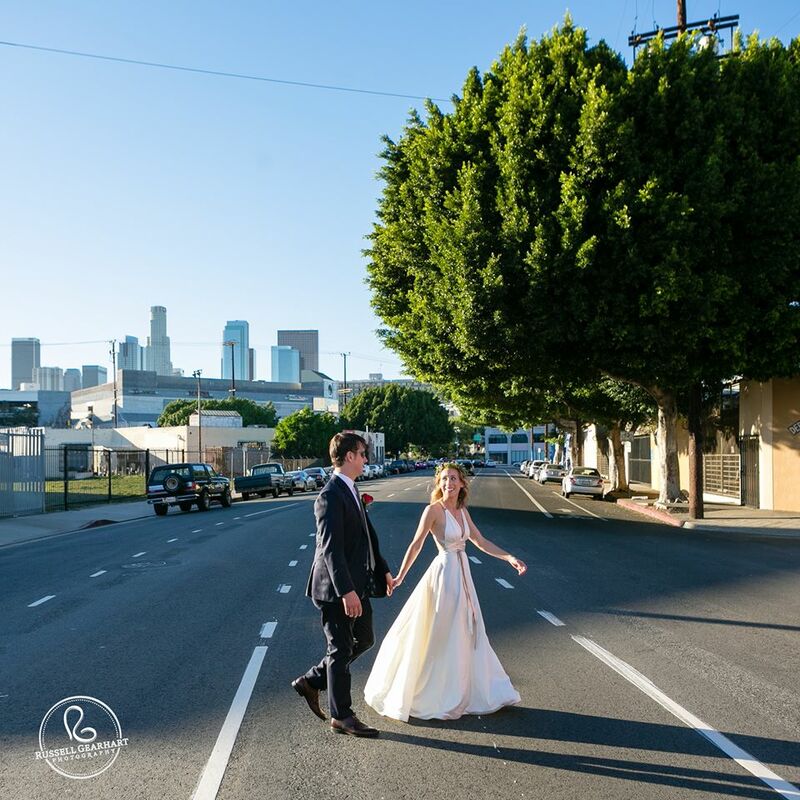 Larke and Russell had a spectacularly spooky Halloween wedding on October 31 in Los Angeles. 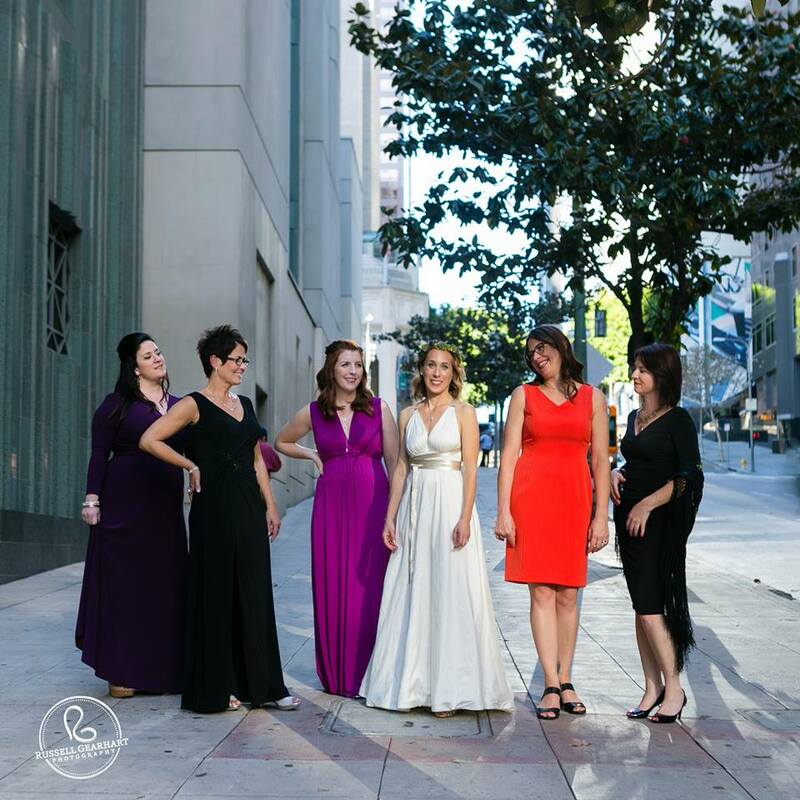 They brought on So Smitten Special Events for full service planning and coordination, design and decor, flowers, and a personalized website. 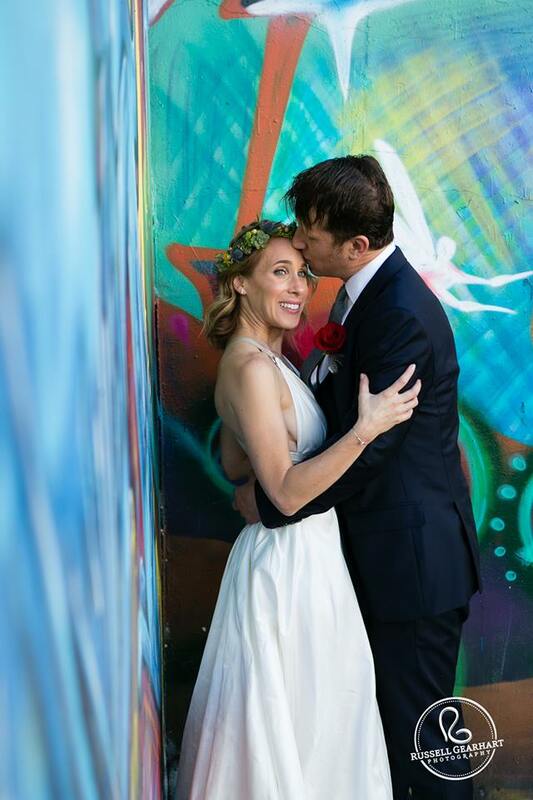 The couple wanted something unique, cool, and fun -- just like them. The design was inspired by Wes Anderson-meets-(not cheesy)-Halloween. We incorporated many of our vintage vases and props, created custom signage, and brought in bright fall flowers. We love how it all turned out! The ceremony was so unique. Guests were invited to dress up in costume, and many did, including the officiant, who dressed as the Pope, and the ring bearer who was dressed up as Santa Claus. Epic. 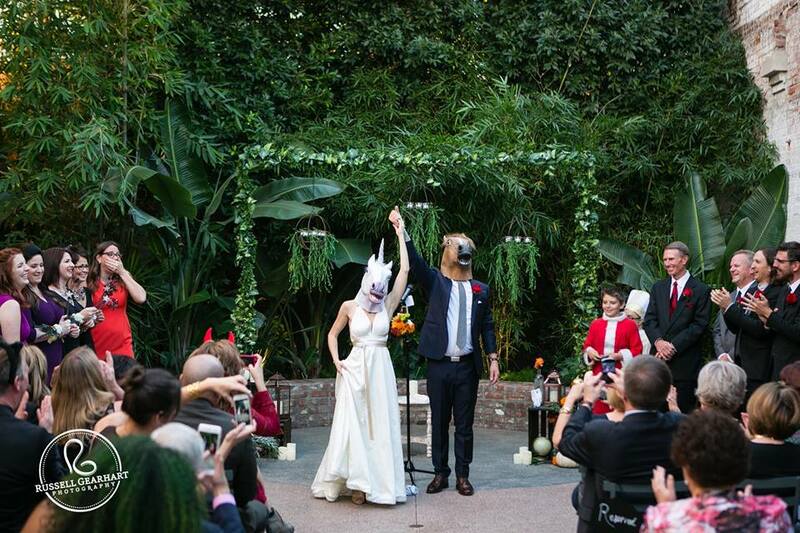 The couple sang their vows to each other, and after their first kiss, walked back down the aisle wearing horse and unicorn masks. So Epic. The reception featured fun food stations with street tacos, sliders, butternut squash ravioli, and more, and So Smitten set up a wide array of old fashioned candy. There was lots of laughter, dancing, great speeches, and a rockin' version of Hava Nigila. Such a fun wedding to be a part of!